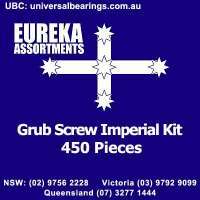 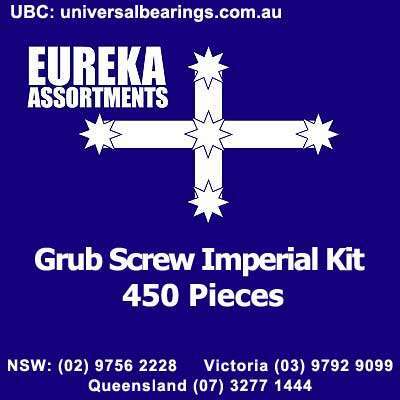 grub screw imperial kit. 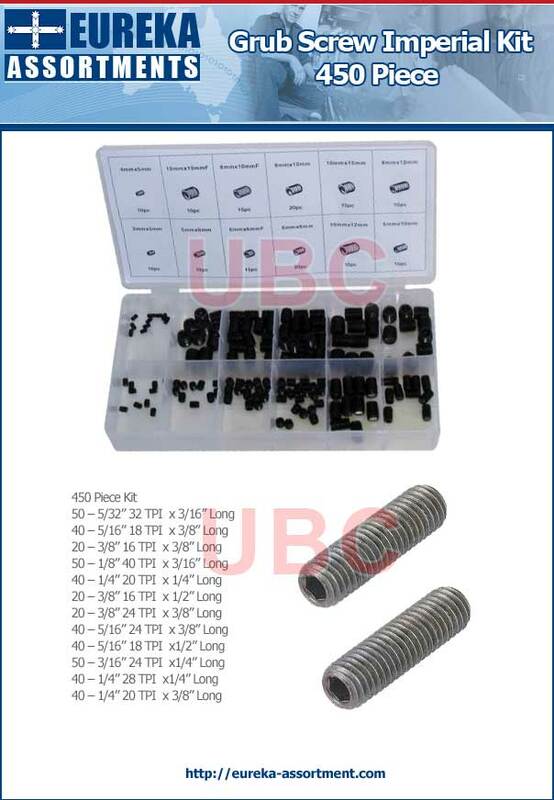 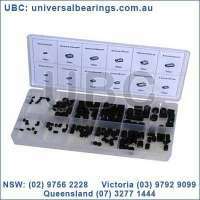 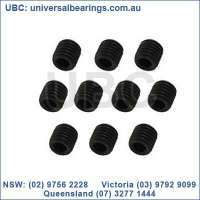 A set screw is a type of screw generally used to secure an object within or against another object. 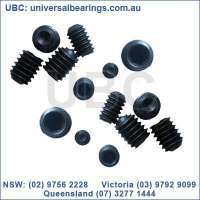 The most common examples are securing a pulley or gear to a shaft. 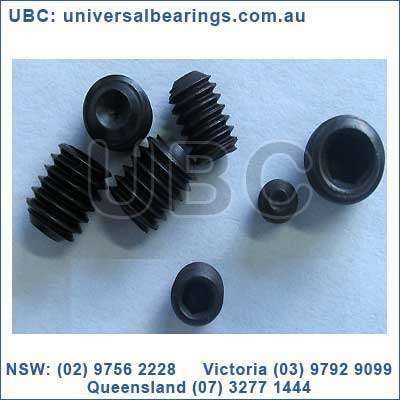 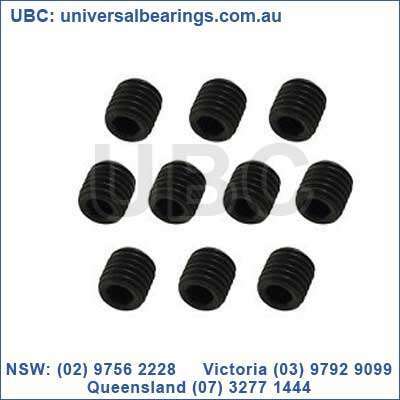 Set screws are usually headless (also called blind), meaning that the screw is fully threaded and has no head projecting past the major diameter of the screw thread. A blind set screw (known in the UK as a grub screw, quite possibly from its figurative resemblance to a soil-dwelling grub) is almost always driven with an internal-wrenching drive, such as a hex socket (Allen), star (Torx), square socket (Robertson), or slot. 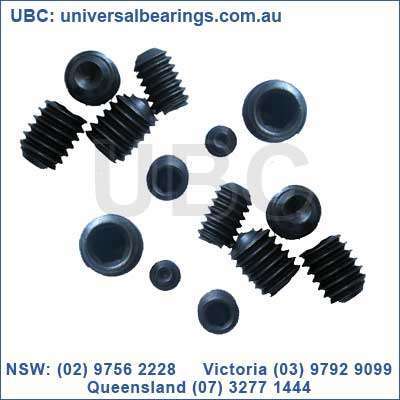 The set screw passes through a threaded hole in the outer object and is tightened against the inner object to prevent it from moving relative to the outer object. 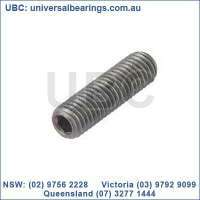 It exerts compressional or clamping force through the bottom tip that projects through the hole.